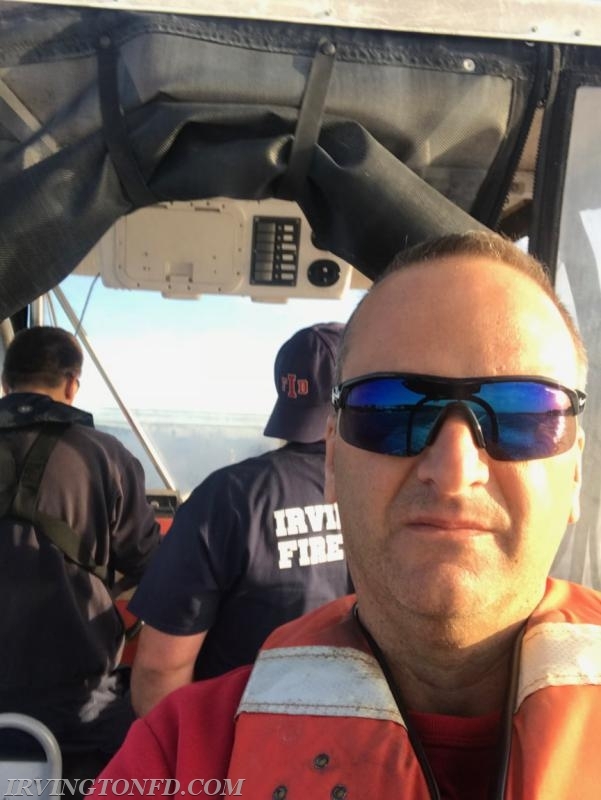 Tonight, members of the Irvington Volunteer Fire Department took Marine 4 out on the Hudson River. 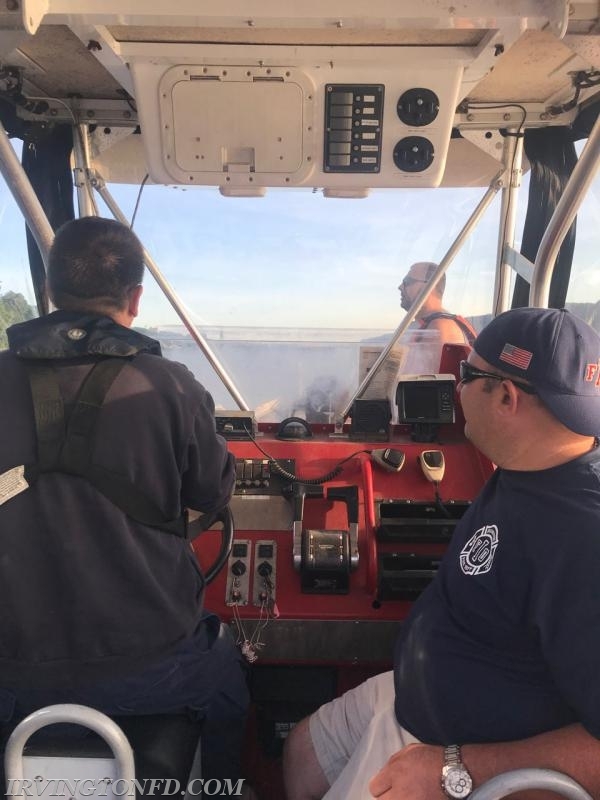 A number of members were able to drive the boat and practice their marine skills in the event of an emergency. 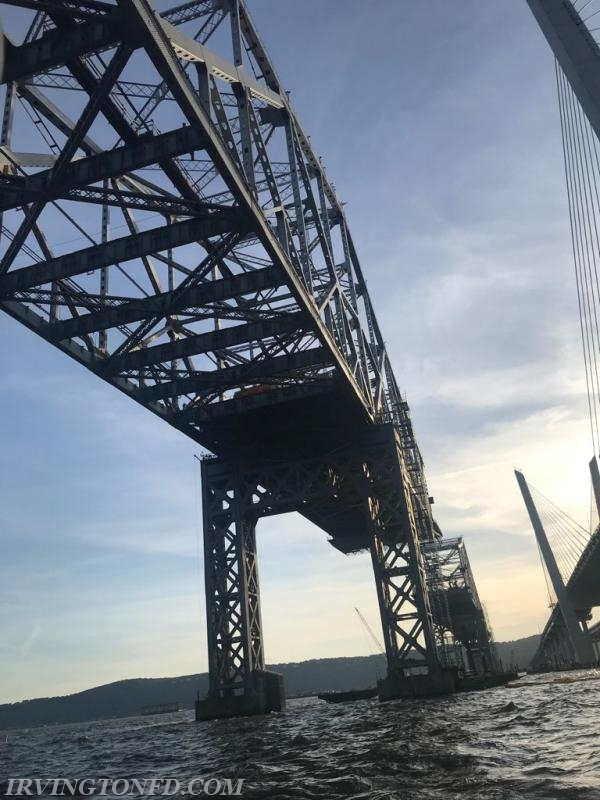 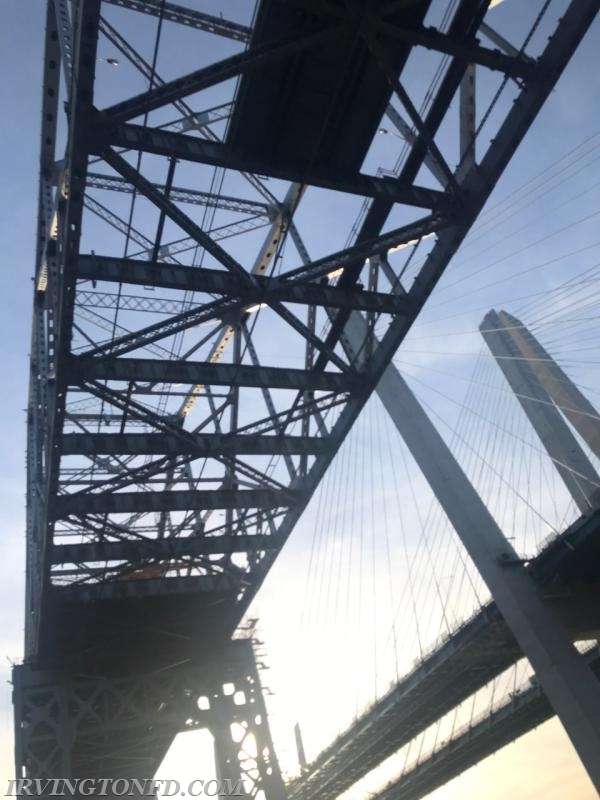 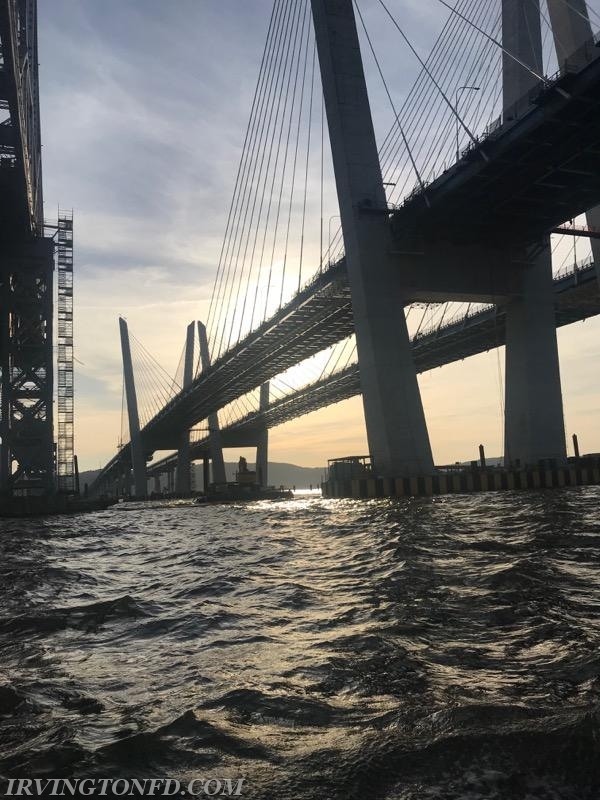 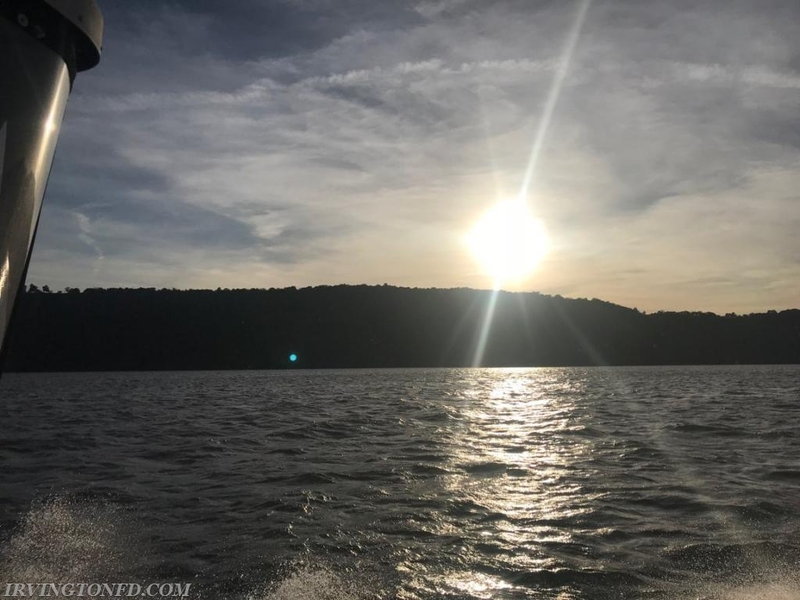 During their time on the water, members went around and under the Tappen Zee Bridge which provided a nice backdrop for an evening cruise!